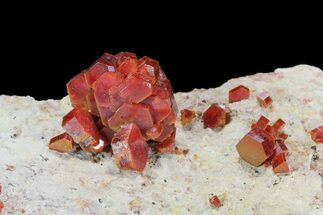 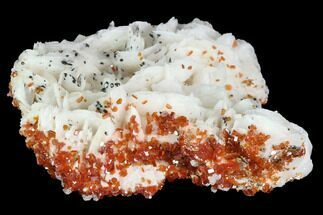 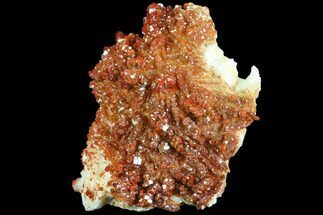 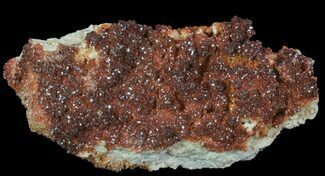 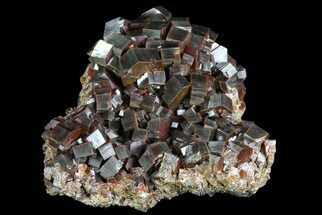 This is a beautiful grouping of large deep red and light brown, vanadinite crystals from Midelt, Morocco. 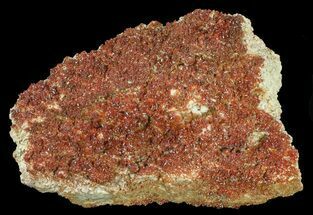 They exhibit excellent color saturation, and a mirror luster on an iron-rich matrix. 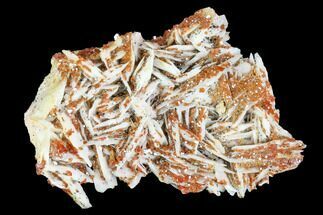 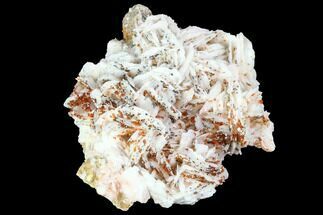 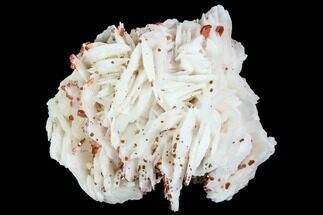 This specimen is a cluster of hundreds of both small and large, high quality crystals. 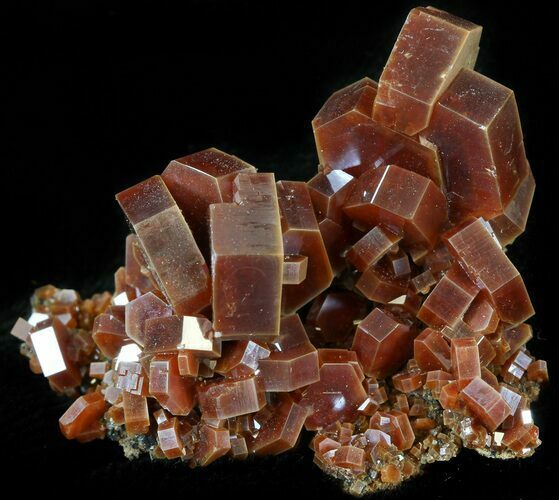 1.7" long, 1.4" wide, Largest Crystal 0.4"